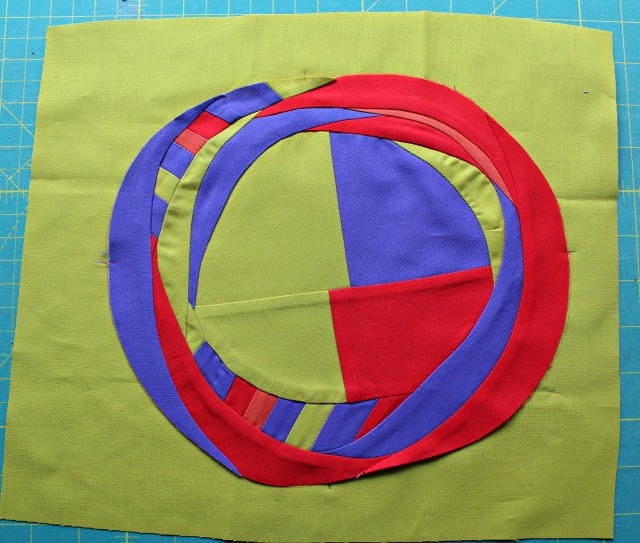 It was a bit of a faux pas when I shared the making of an improvisational layered circle with McKinney MQG a few months ago, that I didn't come prepared with instructions for how to incorporate that roundness into a frame or larger block. So here's how I do it. 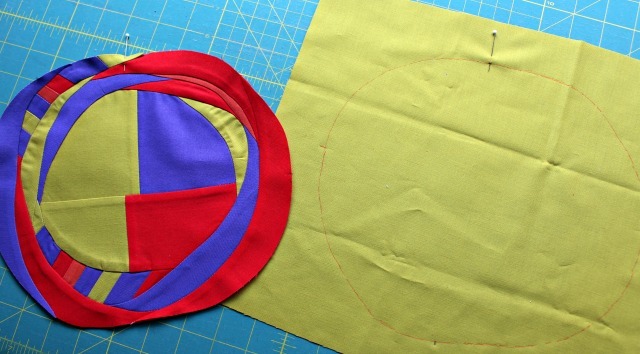 Lay the pieced circle on top of the 'background' fabric. Draw around your circle shape with a removeable marker, making a few tick marks - top, bottom, and each side works for me. With a pin, mark the 'top' of your block and background. Since your circle is likely to be unevenly shaped, it's important that it fits into its frame correctly. 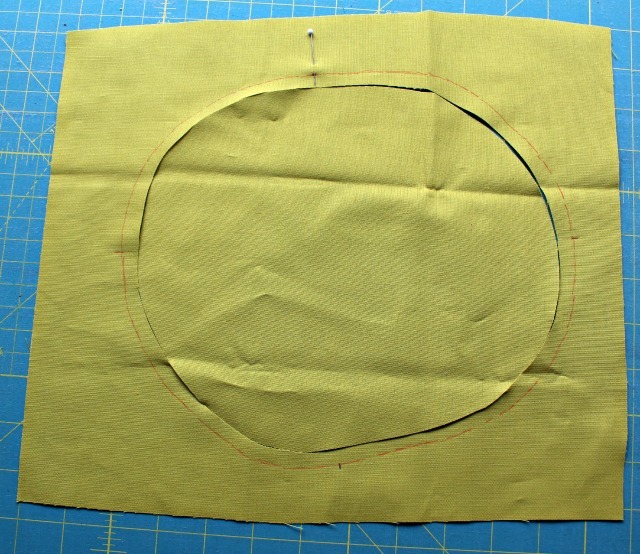 With a small rotary cutter (I suggest 28mm), cut inside your marked circle, estimating 1/4", which will be your seam allowance. 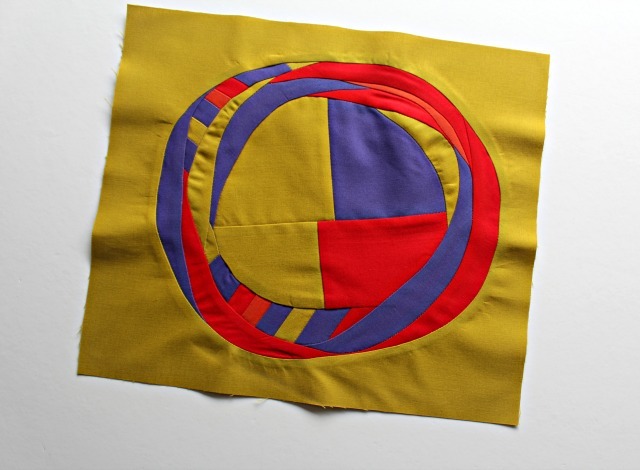 Turn your background in on your circle, repinning at the 'top' and then securing with a pin at each of your other guide-markings. 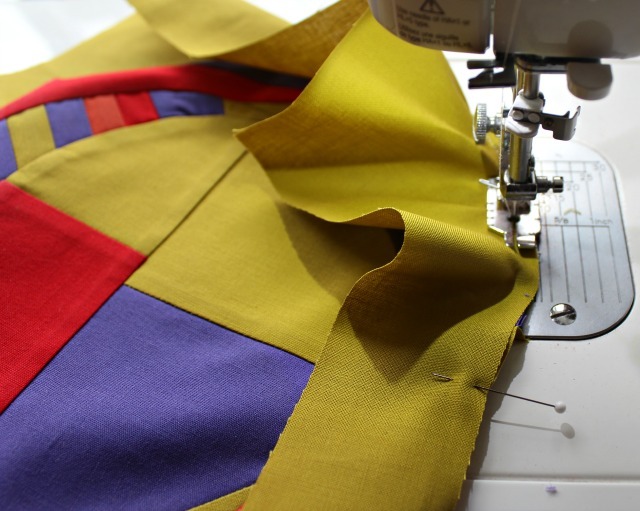 Sew the two pieces together, gently bringing raw edges together as you sew, and distributing the fabrics smoothly between each quarter. 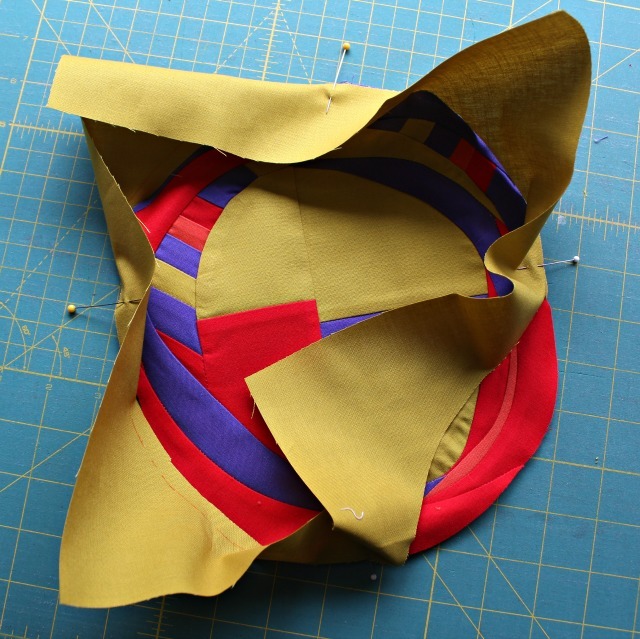 If need be, lift your pressure foot up to redistribute your fabrics, then continue sewing. 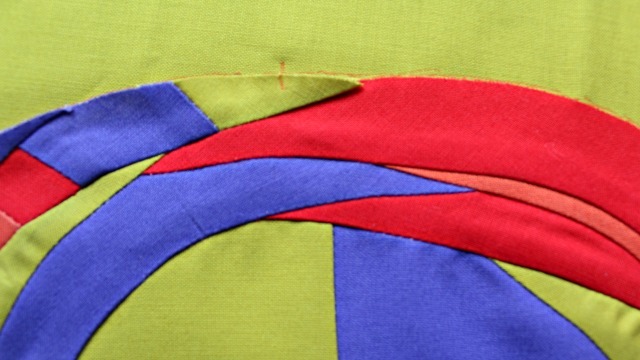 Once you've stitched all around, press your seam toward the background, then press from the front side as well. A little steam will help smooth out the perimeter, and any other minor rippling will disappear with quilting. 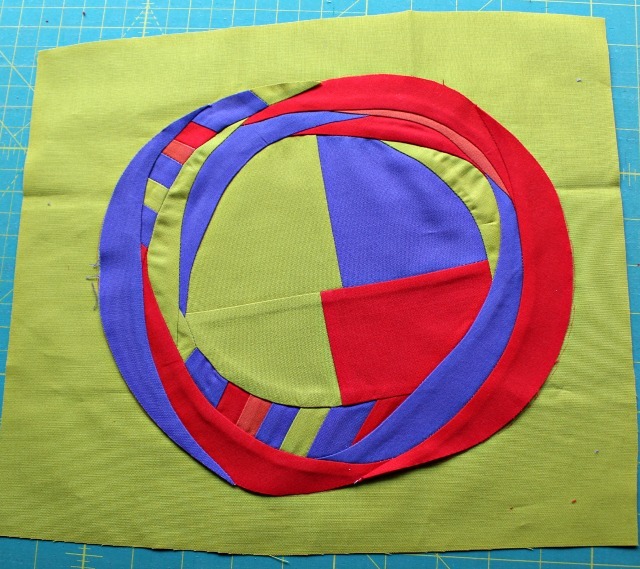 Here you can see my circle block in my final quilt. Hope you enjoy trying the technique for yourself! Linking Up with the Fall 2018 Tips and Tutorials Festival! Thanks a lot for sharing this tutorial Debbie! I'll definitely try it some day. That is such a fun quilt, color, texture, movement, it's got everything. 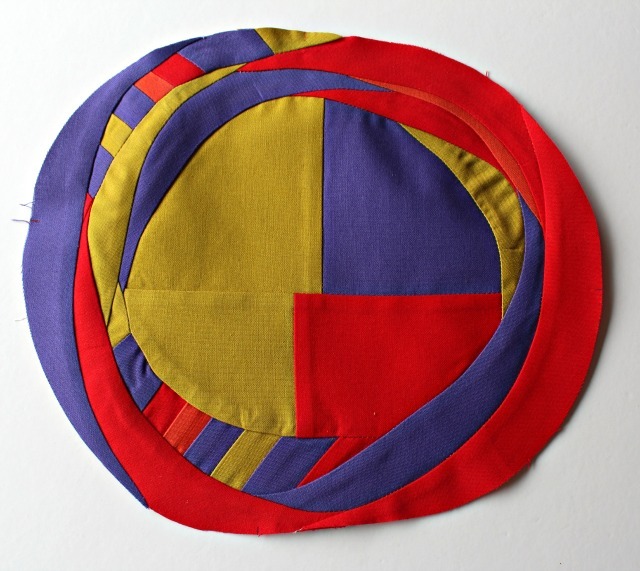 I have never tried to do a block like this because sewing the circle into the background was so intimating. You made it look doable, I need to give it a try. It's gorgeous and I love the improv circle! Thanks for sharing how you add the background!! Great tips. The 28mm rotary cutter is super handy for things like this! 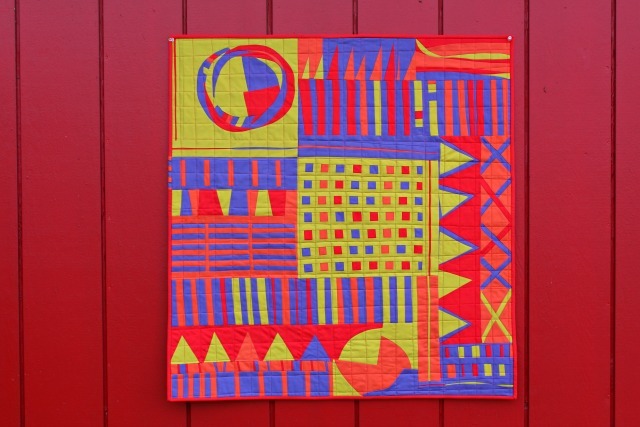 What a wonderful improv quilt!!! What a cool quilt and interesting technique.